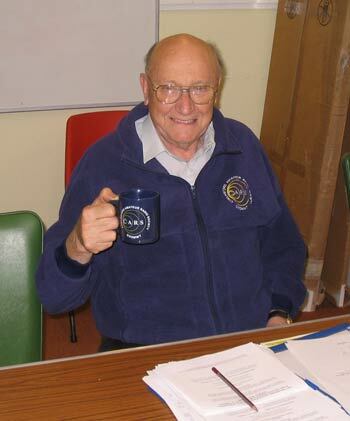 Trip with a Mug - January-February 2011 by Martyn Medcalf, ZL1/G1EFL. Departure Date 24th January 2011 Heathrow – Los Angeles – Auckland – Christchurch - arrived in Christchurch 11.30 am 26th January 2011 (New Zealand 13 hours ahead of UK). 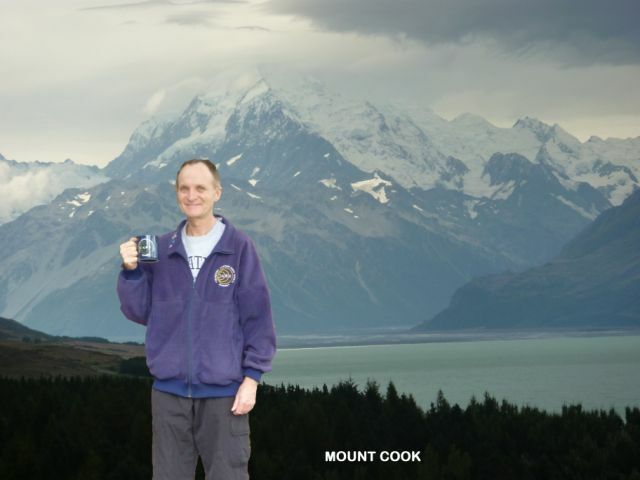 Martyn, ZL1/G1EFL in New Zealand infront of Mount Cook. 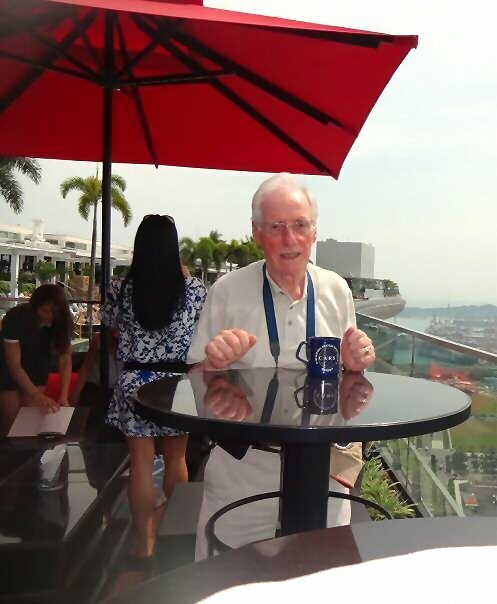 Photo by Martyn's Wife, Val. 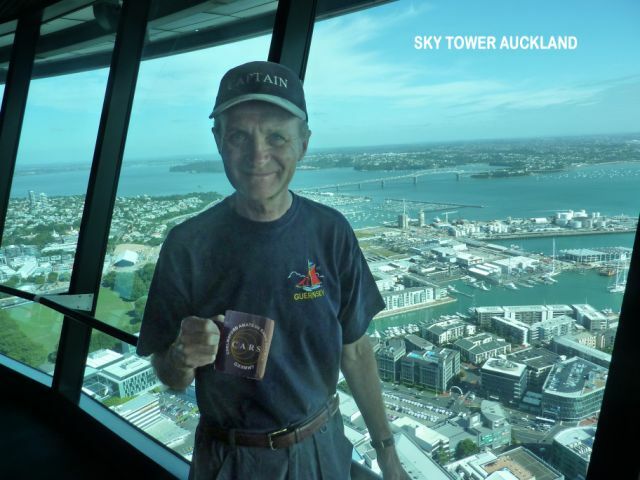 Martyn, ZL1/G1EFL in New Zealand on-top of the Sky Tower in Auckland. Wellington, Taupo, Rotorua, Auckland, Bay of Islands. Overall distance travelled – 26894 miles. Distance travelled in New Zealand – 2365 miles. Weather:- Coldest – Dunedin 12C; Warmest – Rotorua – 32C. 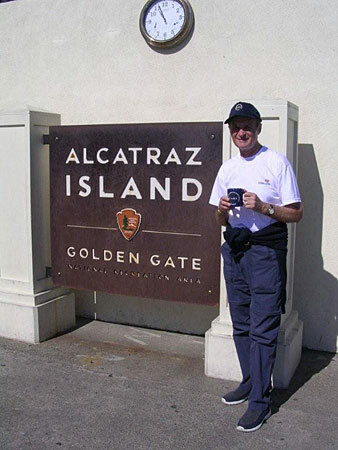 Martyn's callsign in NZ was ZL1/G1EFL Radio contacts made:- ZL1SLO Franc in Auckland – ZL2ADR Andy in Wellington Departed New Zealand 23.55 NZT 14th February 2011 Auckland – Hong Kong – Heathrow - arrived back in Chelmsford 15.30 15th February 2011. Post note. 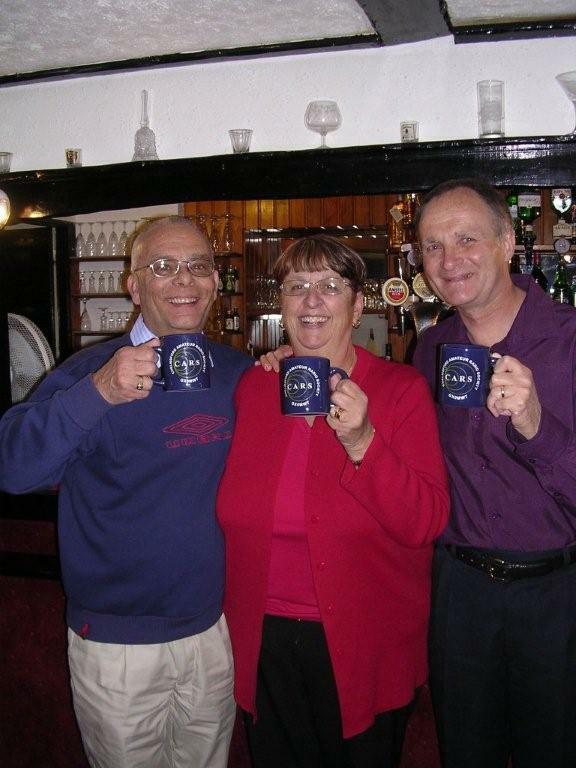 Martyn and Val left just before the tremendous Earthquake partially destroyed Christchuch on Tuesday 22nd Feburary 2011. 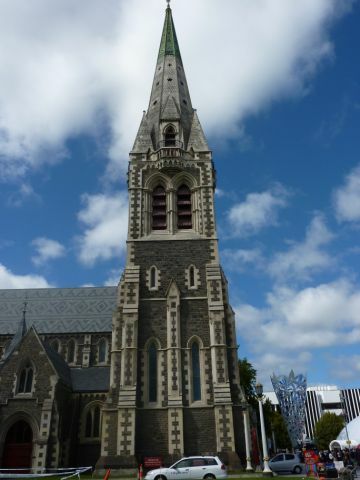 Lovely photograph of the Cathederal in Christchurch - unfortunately the tower was destroyed in the 2011 earthquake. Cathederal in Christchurch before the Earthquake. 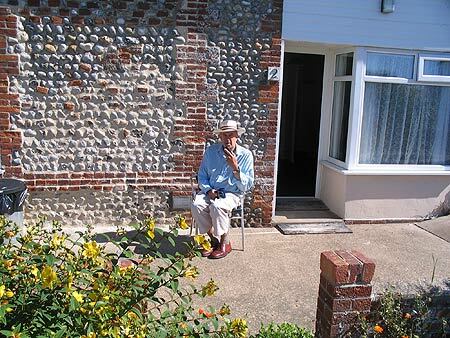 John, G8DET operating outside the holiday chalet in Mundesley, Norfolk in July 2008. 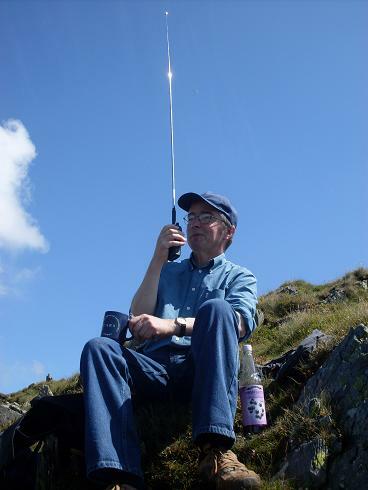 This is Jim Salmon, 2E0RMI in July 2008 on top of CNICHT mountain near CROESOR in Gwynedd North Wales. 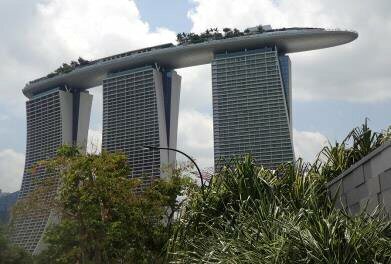 This in July 2008 was the HIGHEST CARS mugs in the World! 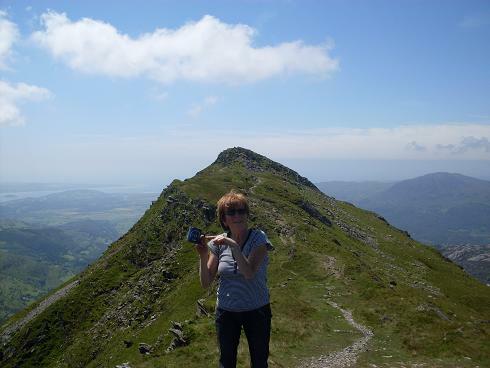 Height of 2,250 ft.
Taken a few moments later of Ann Salmon on CNICHT. 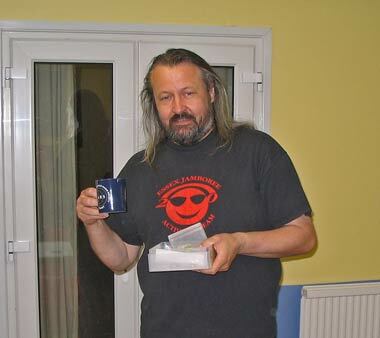 Photo by Jim, 2E0RMI, July 2008. Paul Moss, KB1MTW in Whitman, Ma, USA. 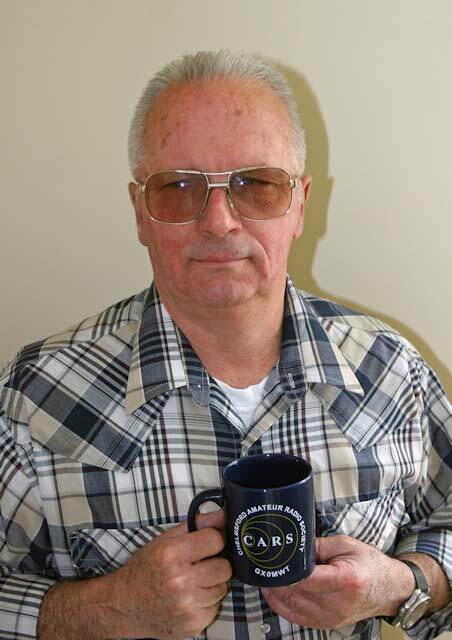 Paul is an Honorary Member of CARS. 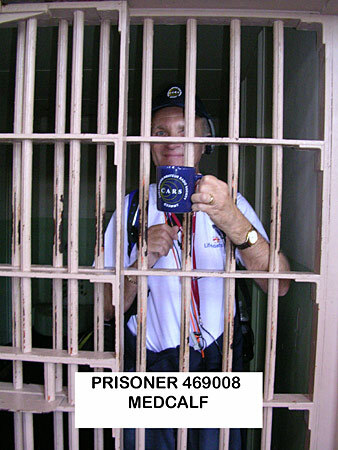 Martyn Medcalf, G1EFL in Alcatraz Prison, USA, September 2008. 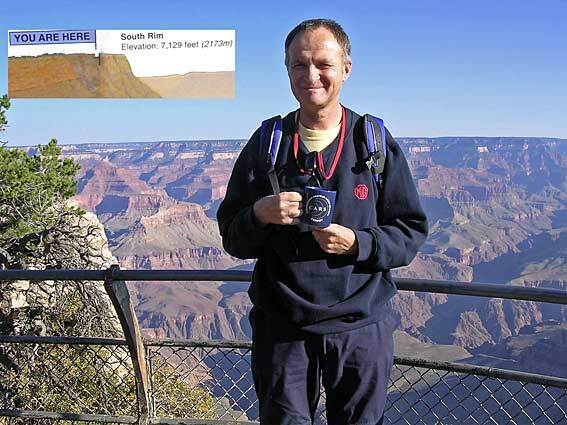 Martyn Medcalf, G1EFL at the top of the Grand Canyon. 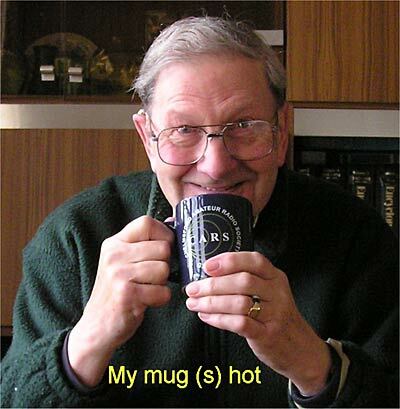 This is , 7,123 Feet above Sea Level - Martyn is therefore claiming the "Highest Mug Record" - September 2008. 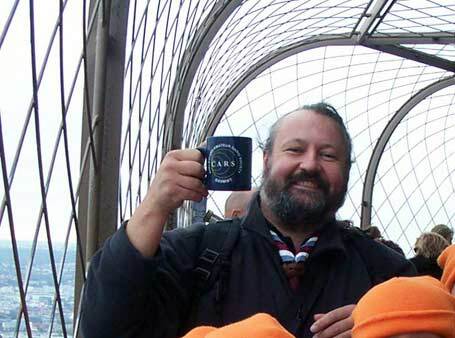 Chris, G0IPU up the Eifel Tower, Paris October 2008. (at the moment!) at 884 feet, (the TX Aerial is 100 foot above Chris). Chris, G0IPU in Danbury, June 2008. Brian in his QTH at Great Baddow, Chelmsford, 200ft ASL.